If you wish to make a financial donation, we will, of course, be grateful and we have several funds that may interest you. Donations are often made to honor loved ones or can be made anonymously. 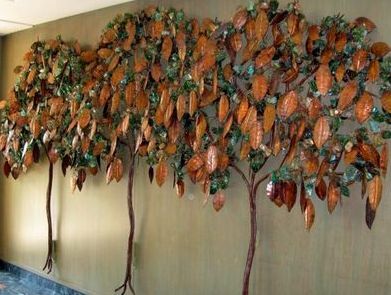 Our Tree of Life provides a unique and beautiful opportunity for creating a perpetual remembrance of loved ones and friends on important occasions such as graduations, birthdays, Bar/Bat Mitzvahs and other special times in life. Large leaves are $350 and small ones, $250. You can find the order form here, call the Temple, or contact Sharon McDaniel (334-277-3376) for additional information. All of Temple Beth Or funds (listed below) are much appreciated ways of supporting our Temple and our Jewish community. Please consider them among the worthy recipients of your charitable donations. Each is an opportunity to follow the Jewish teaching of joining a prayerful wish or an appreciative expression to a charitable gift. You can find the form for donations to any of the funds here, or call the Temple office at 334-262-3314. GENERAL FUND – Provides for the day-to-day operation of the Temple.